Rally for Tally – Interior Design Legislation! In 2010, there were 50 new posts, not bad for the first year! There were 18 pictures uploaded, taking up a total of 3mb. That’s about 2 pictures per month. The busiest day of the year was October 20th with 71 views. 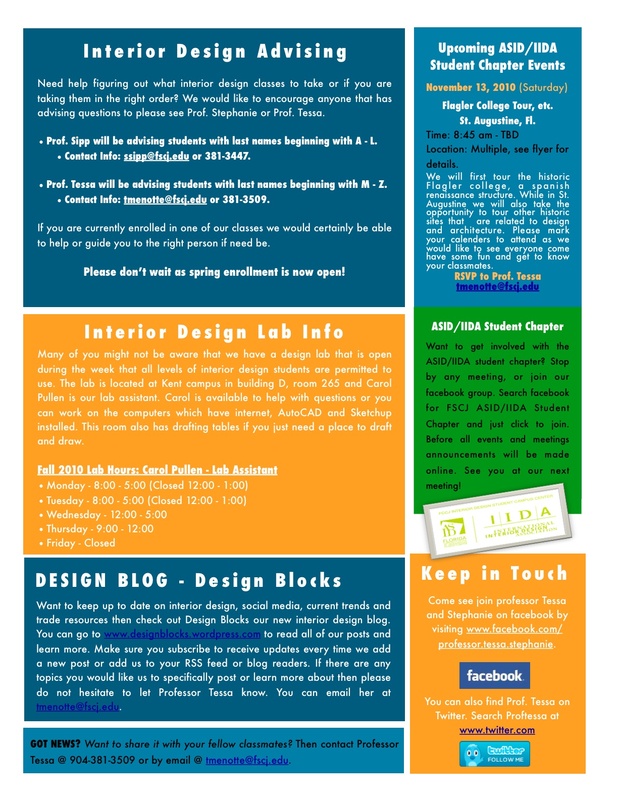 The most popular post that day was Design Connections – Fall 2010 Design Newsletter . The top referring sites in 2010 were facebook.com, bb.fscj.edu, google.com, mail.yahoo.com, and mail.live.com. Some visitors came searching, mostly for http://www.designblocks.wordpress.com, casa farnsworth mies, the art of seating: 200 years of american design, edible dessert designs, and designblocks.wordpress.com. 1 Response to "2010 in review"